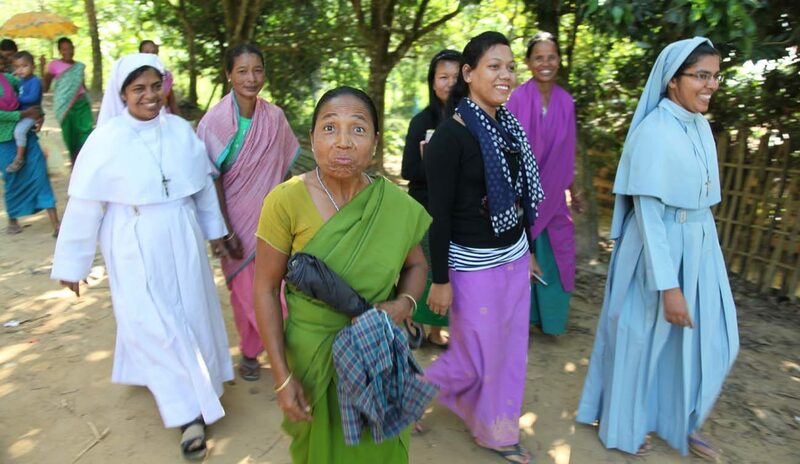 WASHINGTON (CNS) — In remote northeastern India, where Christianity is largely unknown, members of two Eastern Catholic churches are taking people on a journey of faith simply by living with them. Priests, nuns and laypeople are living in mud-and-dung huts among tribal Indians, “reaching the unreached,” said Msgr. John E. Kozar, president of the Catholic Near East Welfare Association, which supports Eastern churches in India and other areas. India’s most-Catholic state is Kerala, but Msgr. Kozar said the Eastern Catholics he visited are “breaking the Kerala model of building, building, building … it’s living with the people; letting them come to know Jesus” by getting to know the missionaries who live with them. “This plays out in such a wholesome, beautiful way. … You’re taking people who had no affiliation … (but) they have this yearning to relate to a higher power,” he said, noting that some people who live with these missionaries are now preparing for baptism.